You’re here because you want to know the things that turn men off to relationships. Maybe you’re in something with a guy and you don’t know what it is yet – but all of a sudden he’s ghosting you. Maybe he’s not calling back, or texting, and you have no idea why and it’s freaking you out. Maybe you had a few great dates and thought this was really going somewhere, then you have one “weird” interaction with him and things completely shut down on his end. Maybe he seemed like he was really into you and then all of a sudden decided to back off and treat you more like a friend than a potential partner. Whatever the reason, you want to know what happened and why. Why did he back off all of a sudden? Why did he ghost me? What did I do to turn him off? This article is going to cover the most common reasons guys go from hot to cold fast – and how to avoid them. So if you want to avoid making a mistake that triggers a guy’s instinct to run in the other direction, read on. Solid, happy relationships form when both people enjoy spending time with each other, mutually recognize that, and keep spending more and more time together – because it feels good. Eventually, they both realize that they’d rather be with each other than anyone else, and make a commitment or otherwise make things official. But the most important thing in that entire process is that it feels good to spend time with each other. That’s the attraction, the “magnet” that pulls two people together and forms a relationship. The secret is to make spending time together feel good, and the only way to do that is to truly enjoy the time you spend together with him – without having any ulterior motive or overarching goal. As soon as you have a goal about him – like getting into a relationship with him – all of a sudden everything you do with him (and everything you say to him) is going to be in service of that goal. You’re going to unconsciously make that goal the center of your interactions with him, and he’s going to be able to feel it. So instead of relaxing and enjoying the time you spend with him, it’s going to feel like you’re trying to get something “from” him – i.e. the relationship. When that happens it no longer feels good for him to spend time with you, because he feels like he has to walk on eggshells in order to avoid disappointing you or saying the wrong thing. The way to avoid this mistake is to avoid making ‘goals’ about being in a relationship with him. Don’t look too far into the future! Instead, make sure that when you spend time with him you’re spending your time in the moment – happy, relaxed, and content. The best way for the time you spend together to feel good (to both of you) is to make your focus enjoying the moment with him. If he senses you’ve got ulterior motivation, it’s going to trigger his instinct to pull away from you – and turn him off to the relationship. This is a concept I talk about a lot. When it comes to relationships, the relationship should be the icing on the cake – not the cake itself. What that means is that your relationship should be one part of a happy life, instead of the thing that makes your life happy. Another way to think about it is that you shouldn’t try to extract happiness from the relationship, you should try to bring happiness into the relationship. The best relationships are between two people who are happy and fulfilled in their own lives – and bring their happiness into the other person’s life to enrich it and make them both happier. If you’re looking to the relationship to “complete” you or “make you happy” – you’re trying to extract happiness from it, and you’re making your happiness dependent on it. When both partners do that, it’s called co-dependence – and it’s a quick shortcut to an incredibly toxic dynamic and huge emotional dysfunction. So make sure to have other things going on in your life other than just spending time with him. Make sure to see your friends, pursue your hobbies, and do the other things in your life that make you happy. Balance is the key here – too much focus on the relationship will turn him off (since he’ll feel like he’s becoming responsible for your happiness). Having your own happiness outside the relationship and bringing that happiness into it will light him up and make him want to be with you even more. There’s a saying in this life that nothing worth having comes free. It can be applied to relationships too. People inherently don’t value the things that are given to them for free – it’s a (nasty) quirk of human nature. Lots of women fall into the trap of thinking this guy is so great and fearing that they’re going to lose him so much that they wait on him hand and foot in order to “keep him happy”. Unknowingly, what those women are actually doing is poisoning their chances with him – because they’re sabotaging themselves by devaluing everything they’re doing for him. If he’s getting everything he wants without having to put in much effort, it’s not going to inspire him to put in more effort, it’s going to make him want to put in less (since he’s already getting everything he wants). That means texting less, calling less, being less emotionally available, and generally putting in even less effort than he already is. In turn, that makes his partner work even harder to try to “win” his affections back – which pushes the relationship even further down the spiral. Respect yourself and respect the effort you put into the relationship with him. The way to his heart isn’t giving him everything he could possibly want without expectations in return – rather it’s keeping your dignity and self-respect and treating him with the same respect that he treats you. This has a lot to do with #2 – at least from the guy’s perspective. At its heart, what I mean by being emotionally honest is being honest with him about how you’re feeling and why – and also seeking solutions rather than emotional retaliation. First off, let’s talk about being emotionally honest. Being emotionally honest means telling him honestly how you’re feeling if you’re upset. It means avoiding being passive aggressive at all costs. It means telling him if he did something to upset you, rather than expecting him to read your mind and understand why you’re upset. There’s not a lot of things that feel more toxic to a guy than when a woman is upset and expects him to just know why she’s upset and how to fix it. Most guys, when confronted with that situation, emotionally shut down and try to get away from the dynamic as quickly as possible. Guys can’t read your mind. If you’re upset, he’s probably not going to know exactly why. That’s why it’s so refreshing to a man when a woman can honestly tell him exactly why she’s upset and what he did that made her feel that way. When a woman can be emotionally honest with a man, he instantly feels safer and more connected with her – because he knows that she’s not going to try to punish him for hurting her feelings or make him guess why she’s upset. The second part of this is about seeking a solution rather than emotional retaliation. Many people (both men and women) respond to being hurt by their partner by trying to hurt their partner in return. The problem is that responding to being hurt by hurting your partner is a toxic dynamic. All it leads to is worse and worse fights – especially when it’s combined with not being emotionally honest and telling your partner how and why they hurt you. The best relationships are between people who don’t want to fight – and who want to resolve conflicts as quickly as possible. That means letting go of the impulse to attack your partner because you feel attacked – and instead explaining exactly what they did that upset you, so that they understand and recognize why what they did was hurtful. Mutual understanding is the best thing for dissolving a fight and bringing people closer together, and the best couples know that and seek understanding during a conflict instead of retaliation. 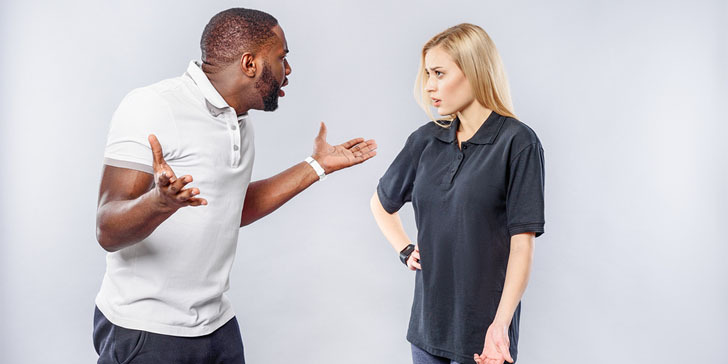 If a woman seeks emotional retaliation rather than understanding, a guy is going to recognize it as toxic immediately and it’s going to turn him off. But if she seeks mutual understanding instead, he’s much more likely to want to get closer with her and build something together. Making your relationship with him the center of your life. Giving him everything he wants to keep him interested. sometimes giving him everything can lead to more of a destruction than success. be careful not to do this. wow, this is something i wouldn’t want to admit. but reading this makes you think and realize how guilty we are of these things that turn off men. it’s not always good that you give him everything. i can’t think of anything else to say because these are the basic and yet deadly signs. never make your relationship the center of your life. this will compromise everything. giving him what he wants and needs are good but as they say, anything in excess is bad for you and this is true also in relationships. you think making him the center of your life turns him on? this is a big NO! all so true. we sometimes overlook these but they’re true and they happen in real life. these are all so stressful for anyone, even women. i hope women would learn hot not to make their relationships the center of their lives. this does more harm than good. This is a very good read for all women. i learned so much, thanks a lot! wow, this is really nice. thanks for the advice, this is surely helpful. get a life outside the relationship. it is healthy for you both. wow, i didn’t realize i’m all these haha! i really need to know. i think i’m doing so many things wrong. all so true, i couldn’t agree more! never give him everything he wants. he’s not your child, he should please you also and not just you pleasing him all the time. plus, this is a total turn off because then there will be no challenge anymore. men will tend to take you for granted when they know you’re gonna give them everything they want even without asking. don’t do this, it will not benefit you in the long run. don’t ever let him nor the relationship be the center of your life. 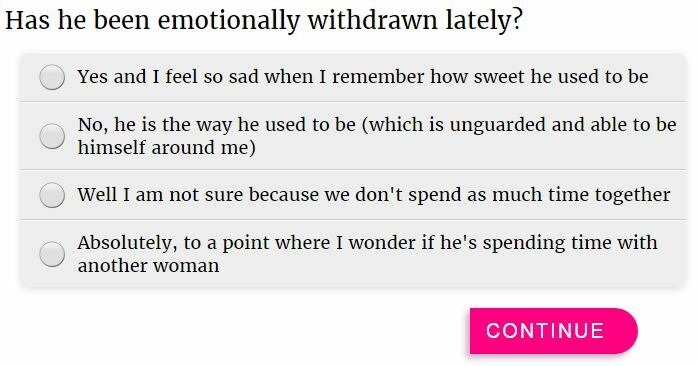 men do not want women who are very dependent and clingy. thank you for posting this. it made me realize so many things that will surely help me be better in my relationships. men need attention just as much as we do, but too much of it won’t work either.